The option to stay onsite is selected by default, so if you prefer a Commuter space, please be sure to select the correct option for your desired choice. If all spots have been filled and you would like to place yourself on the WAIT LIST, please be sure to uncheck the Staying Onsite option so that you are not charged for signing up for the wait list. Once upon a time, Stephanie Jacob Gordon and Judith Ross Enderle met in a writing class at UCLA. Both saw their first published words in the pages of Highlights for Children magazine. Since then, they’ve co-authored numerous books, from picture books to young adult novels, for including Smile, Principessa!/Simon & Schuster/McElderry, Two Badd Babies/Boyds Mills Press, and What’s the Matter, Kelly Beans?/Candlewick. In the works are a middle grade novel and a picture book. They are also eagerly awaiting news on several manuscripts under consideration. On the bookshelf and in children’s magazines, you’ll find their work under their individual names and under the pseudonyms, Jeffie Ross Gordon and J.R. Gordon. Past writing experience includes over eight years as co-editors of the Fox Broadcasting Children’s Network magazine, Totally Fox Kids. 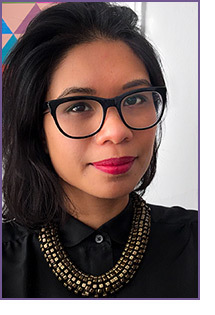 They also served as story editors and writers for the first season of the Fox children’s television program, “Rimba’s Island” which received both NEA and PTA endorsements as quality children’s television. “Language is fun. Our favorite stories are those that make young people laugh,” say Stephanie and Judy. When they aren’t writing, they can be found sharing their stories in bookstores or lecturing at conferences, workshops, and retreats to adults who want to learn to write. In addition, Judy and Stephanie critique and edit manuscripts for other children’s writers through their business, Writers Ink. Visit their website at www.writersinkville.com. And please visit their blog, KidsBook Mavens, also featuring authors, Cheryl Zach, Dawne Knobbe, and Laurie Knowlton. 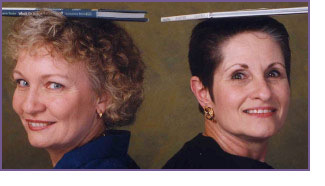 Stephanie and Judy are board members emeritus of the Society of Children’s Book Writers and Illustrators, both International and Los Angeles. Both now reside with their families in Washington State. Between them they have six grown children, a few grandchildren, a lot of fun, and a lot of wacky words yet to be written! Not “the end” yet. 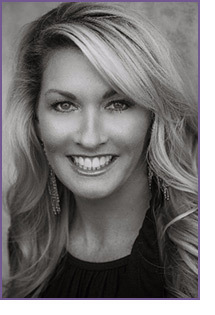 Molly O’Neill is a literary agent at Waxman Leavell Literary Agent. Prior to becoming an agent, she spent thirteen years working in various roles inside the publishing industry: as an Editor at HarperCollins Children’s Books, where she acquired Veronica Roth’s juggernaut Divergent series, among many other fantastic projects; as Head of Editorial at Storybird, a publishing/tech start-up; and in School & Library Marketing at both HarperCollins and Clarion Books. She loves the creative process and early-stage project development, is invigorated by business strategy and entrepreneurial thinking, and is fascinated by the intersections of art, commerce, creativity, and innovation. Molly is especially passionate about the people behind books, and takes pride in discovering and evangelizing talented authors and illustrators, expanding the global reach of their work, and finding new ways to build connections and community among creators, readers, stories, and their champions. You can learn more about her via her website. I’m most actively seeking YA and middle grade fiction. I’m also seeking a select number of children’s illustrators (illustrators who write are especially welcome), and authors of picture book/MG/YA nonfiction, early readers/chapter books, or children’s/MG/YA graphic novels. While I do not typically accept unsolicited picture book texts, I make an exception for authors who attend conferences where I am speaking, so if you are a picture book writer, you may submit a manuscript to me despite the guidelines on my website that say otherwise. However, do please know that I am extremely selective in representing picture book authors who are not also illustrators, or authors of nonfiction. Further submission guidelines can be found on my website. In all categories, I’m drawn to character-driven explorations of universal truths and experiences; plots driven by a compelling “what-if”; a vivid sense of place and/or world-building; groundbreaking themes, formats, and voices; masterful, original writing; humor (that leans more toward smart and witty than slapstick or gross-out); and stories that will surprise and delight readers. I grew up in the suburbs of New York City, spent five years in New Orleans getting my B.A. and M.A., and then returned to New York, where I now live and work as an Associate Editor at HarperCollins Children’s Books. I work on a list that includes novels and picture books by Walter Dean Myers and Neil Gaiman; books for all ages by Kwame Alexander; middle grade and YA novels by Sally J. Pla, Darcy Miller, Fred Aceves, Amy Giles, Lindsey Klingele, Elizabeth Byrne; and more. Outside of work (and aside from reading for fun), I also go to yoga, run, write, draw, and watch, analyze, and obsess over assorted TV shows & movies. That makes it sound like I’m a Renaissance girl, but I’m not—for one thing, I can’t cook to save my life (well, okay, maybe to save my life I could scrounge something up). Books I’ve worked on: Crush by Nicole Williams; the Big Nate series by Lincoln Peirce; The Marked Girl by Lindsey Klingele; Monster: A Graphic Novel by Walter Dean Myers; Eternity’s Wheel by Neil Gaiman; Zits: Shredded and Zits: Chillax by Jim Borgman and Jerry Scott; Beware the Wild and Behold the Bones by Natalie C. Parker; the Find Me trilogy by Romily Bernard; He Said, She Said by Kwame Alexander; What Happens Now by Alexis Bass; Fake ID and Endangered by Lamar Giles; and more. What I’m looking for: I am particularly interested in contemporary/realistic middle grade and teen projects (particularly if it makes me laugh, cry, or laugh so hard I cry), Southern gothic YA lit, satirical high school social strata stories, light fantasy, and dark humor a la Tim Burton or “Heathers.” I’m looking for authentic voices all around, and I enjoy deep romantic and platonic bond stories equally. Rhoda Belleza was raised in Los Angeles, where she grew up writing XFiles fanfiction and stuffing her face with avocados. When she’s not editing, Rhoda obsesses over nail art tutorials, watches kung fu movies, and sews together crooked things that pass for clothes. She’s a children’s editor at Imprint, a part of Macmillan Children’s. Projects: Past projects include the Truth or Dare series (Little Brown), The Butterfly Clues (Egmont) and Animas (Hyperion). At Imprint, she’s currently editing YA fantasy such as Ink, Iron, and Glass by Gwendolyn Clare and The Wicker Throne by Kayla Ancrum, and fun(ny) chapter book series Disaster Diaries by R. McGeddon. 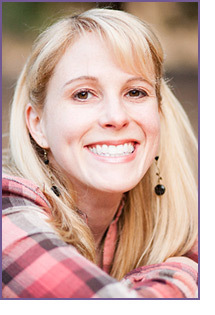 What I’m looking for: Rhoda works on everything from picture books through YA. 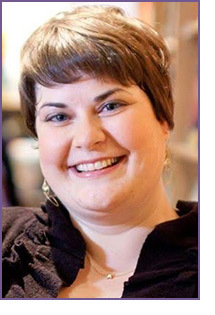 While open to books for all age ranges, she is particularly interested in high concept YA/MG and unusual picture books. Rhoda is not the best match for nonfiction or light, contemporary romance. Authors of color are encouraged to reach out! Edith Cohn was born and raised in North Carolina where she grew up exploring the unique beaches of the Outer Banks. She currently lives in the coyote-filled hills of Los Angeles with her husband and her dog. All of these things provided inspiration for her debut middle grade novel, Spirit’s Key, which received a starred review from Booklist. Please note: $30 administrative charge for refunds before September 2, 2016. Any refund requests after September 1 will be granted on a case-by-case basis and there will be a $100 administrative charge. E-mail your refund request to the Los Angeles region losangeles@scbwi.org. **If the event is already sold out, please send an email to losangeles@scbwi.org to request to be put on the waiting list.